As Migraineurs, many of us have heard about the development of nerve stimulators for the use in treatment of Migraines and have anxiously awaited the availability of these new treatments. 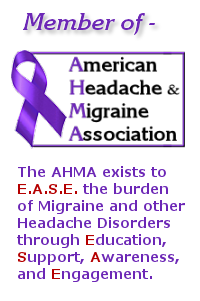 As of March of 2014, the FDA approved the Cefaly for use in the prevention of Migraines, and the Cefaly is our topic for this week's ACHE Tuesday article. The Cefaly is a transcutaneous electrical nerve stimulator which is worn like a headband on the forehead. This "headband" contains an electrode which contacts the forehead and is meant to be used daily for twenty minute sessions as a preventative treatment. The Cefaly is available by prescription only and costs $299 plus an additional $25 for the three reusable electrodes. Dr. Brian Plato, Medical Director of Norton Headache and Concussion Center, indicates that the theory behind the efficacy of the Cefaly is that it stimulates the trigeminal nerve which is known to be involved in Migraines. In this week's ACHE Tuesday article, Dr. Plato discusses the Cefaly device, the rationale for its use, the studies undertaken to assure the safety and tolerability of the device, and his thoughts on the applicability of the Cefaly in the management of Migraines. He notes that the FDA approval of the Cefaly "reaffirms the message to clinicians and researchers that patients with Migraine are in need of additional treatment options." It is too early to draw any definitive conclusions about the long-term and sustained effectiveness of the device. Additional studies are needed to determine what patients will benefit most from the Cefaly. Due to the minimal risk of side effects, the Cefaly may be an excellent tool for those who cannot use other preventive treatments or are hesitant to do so. The use of the Cefaly may lead to further discussion and investigation into other treatment modalities for Migraines. In his article, Dr. Plato also discusses two studies that were conducted to assess the safety of the Cefaly. To learn more about these studies and the use of the Cefaly, please refer to Dr. Plato's article for ACHE Tuesday: Cefaly for Migraine Prevention?